The Khaki Campbell duck is a light weight bird. They have a modestly long body, head, bill and neck. 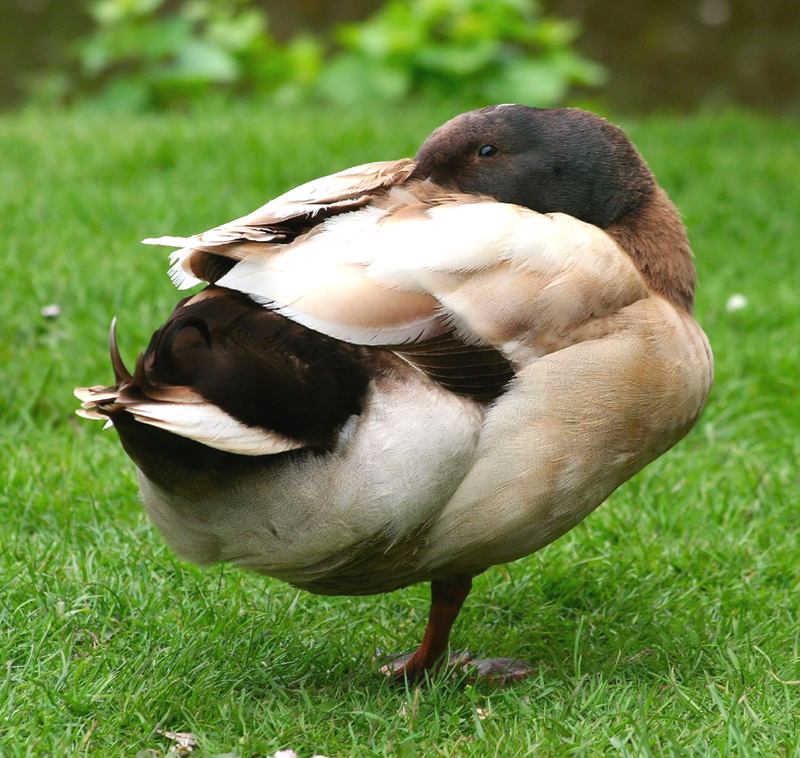 Khaki Campbell ducks have a sprightly body carriage of 20 to 40 degrees above horizontal.